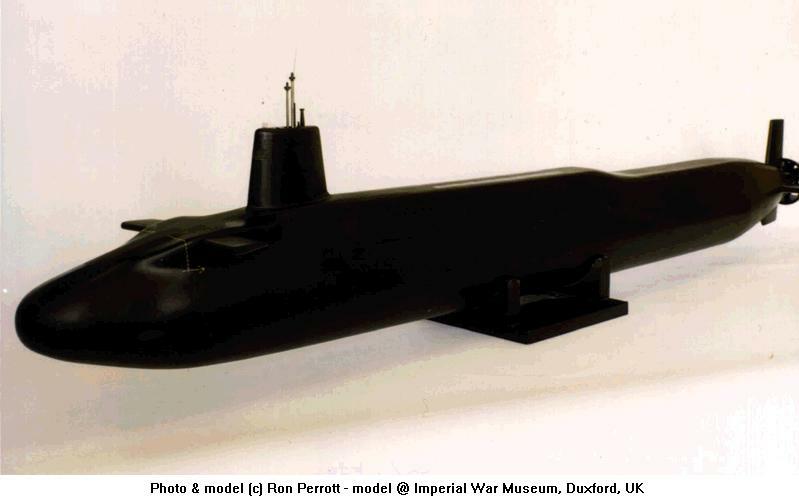 Ron Perrott Sub Photo Gallery [photos of model used on this page by Ron Perrott - model can be admired @ Imperial War Museum at Duxford, UK]. The U.K.'s Trident force is based on four VANGUARD Class SSBNs, each capable of carrying 16 Trident II (D5) missiles. The U.K. submarine was designed by VSEL, Barrow-in-Furness. 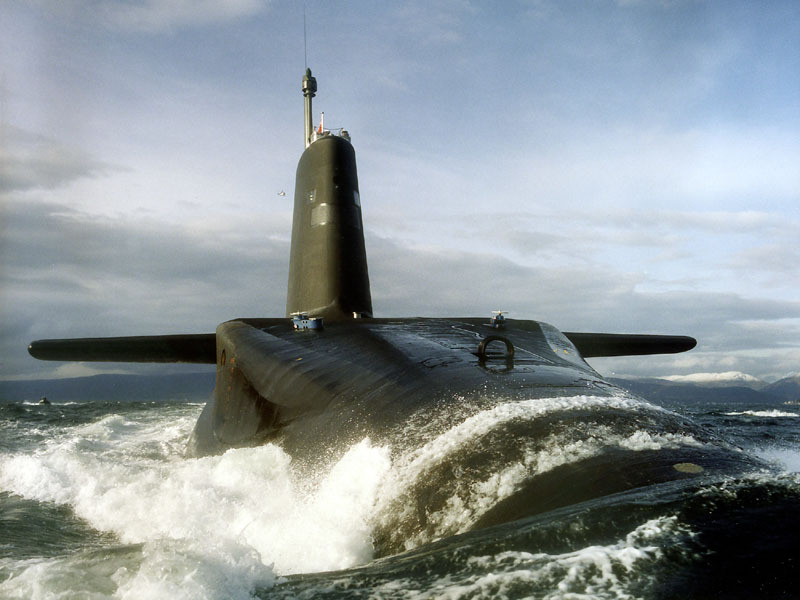 The first submarine, HMS VANGUARD, was launched in March 1992. Both her crews successfully test fired unarmed Trident II (D5) missiles at the Eastern Test Range in 1994. HMS VANGUARD deployed on her first operational patrol in December 1994. The second boat, HMS VICTORIOUS, deployed in January 1996. The third ship, HMS VIGILANT, deployed in February 1998. 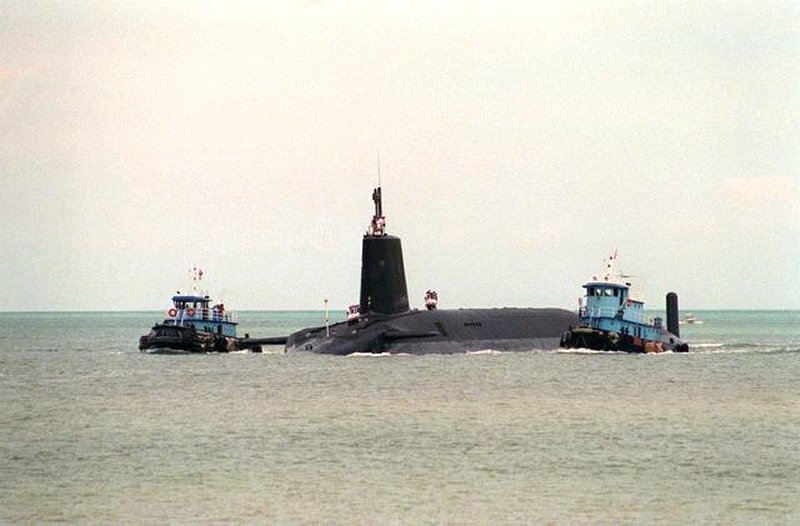 The fourth and final submarine, the HMS VENGEANCE, deployed in early 2001. By the 45th Anniversary of SSP all VANGUARD Class submarines had successfully launched one Trident II (D5) missile during a Demonstration And Shakedown Operation (DASO). Like POLARIS, VANGUARD Class submarines use a U.S. designed missile section. A second-generation Rolls Royce and Associates pressurized water nuclear reactor provides the power. 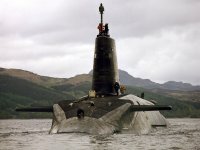 The Clyde Submarine Base at Faslane and the Royal Naval Armament Depot at Coulport underwent extensive redevelopment to prepare for the deployment of the U.K.'s TRIDENT force. Work on both sites began in 1985 and was one of the biggest construction projects undertaken in Europe. Two of the most notable additions to Faslane are the covered shiplift designed to raise the submarines clear of the water for repairs and routine maintenance, and a power-generating facility with the capacity to serve a town of 25,000 people. 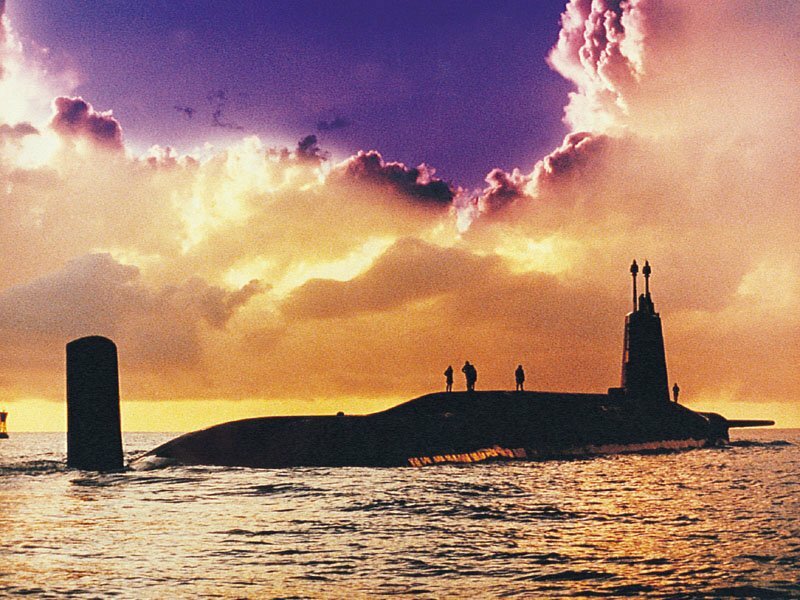 All U.K. shore facilities were certified for TRIDENT II (D5) program support in September 1994, following the extensive formal review of processes and various evaluation techniques. 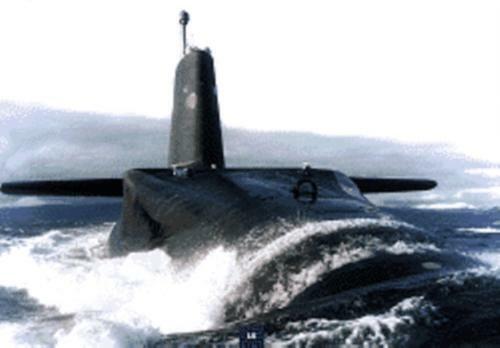 The deployment at the beginning of 1996 year of HMS Victorious, the second Vanguard Class submarine, marked a major step in the transition from Polaris to Trident. In December 2004, the Devonport Management Ltd. (DML) completed the first refueling and overhaul of the class at the Devonport Dockyard located near Plymouth. The company was chosen over the traditional location at ROSYTH because of changes made to their 9 DOCK to accommodate the TRIDENT vessel and the upgraded techniques to ensure safety and other aspects during refueling evolutions. The U.K. submarines are each planned to undergo the Long Overhaul Program with Refueling (LOP(R)) to renew their service capabilities. The HMS VICTORIOUS LOP(R) began in January 2005, and was the second ship to be overhauled by DML under contract to the U.K. Ministry of Defense. 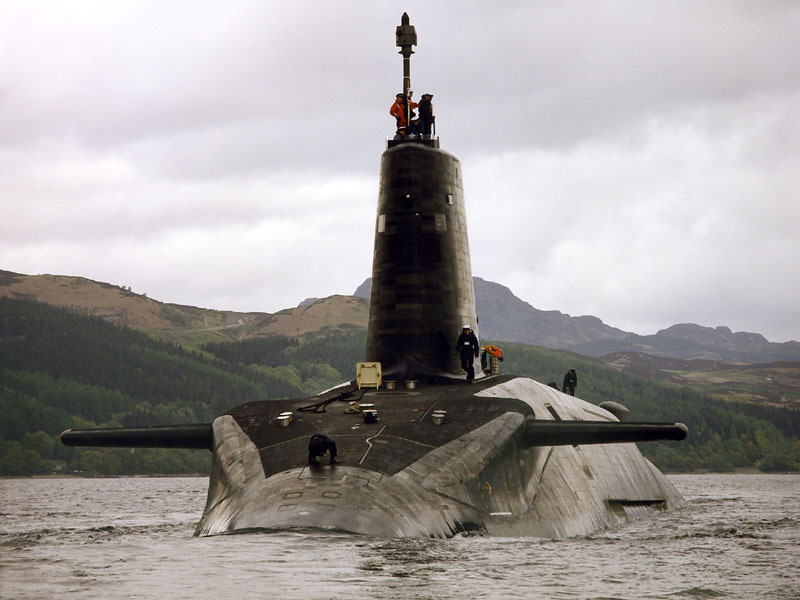 Trident has taken over the main burden of providing UK strategic nuclear deterrent, and also provides a continuously-available sub-strategic nuclear capability, a role the Trident force took over fully when Vigilant entered service and the WE177 bomb was withdrawn in 1998. At that point, Trident became the only UK nuclear weapon system. 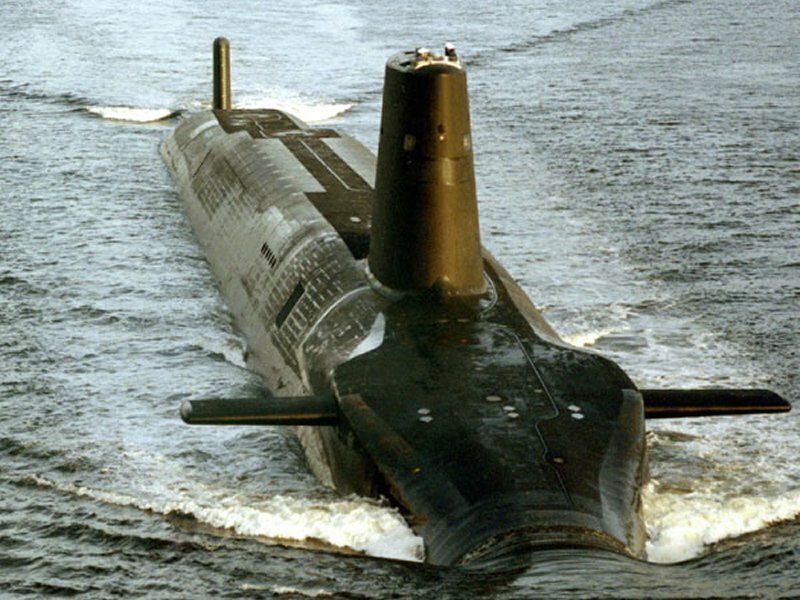 The Vanguard Class submarine has been purpose-built as a nuclear powered ballistic missile carrier, incorporating a selection of successful design features from other British submarines. 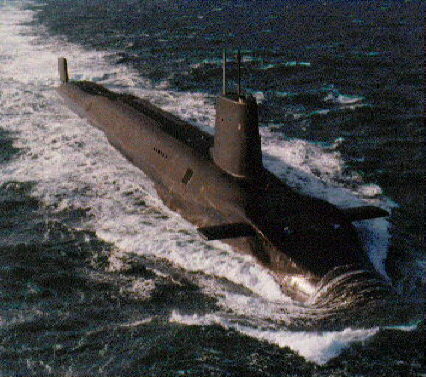 In this respect it is unlike its Polaris predecessor, which was adapted from the then existing Valiant Class SSN. At over 150 metres in length and over 16,000 tonnes, about twice the displacement of the Polaris submarines of the Resolution Class. The submarines were designed and built by Vickers Shipbuilding and Engineering Limited [VSEL] at Barrow-in-Furness. 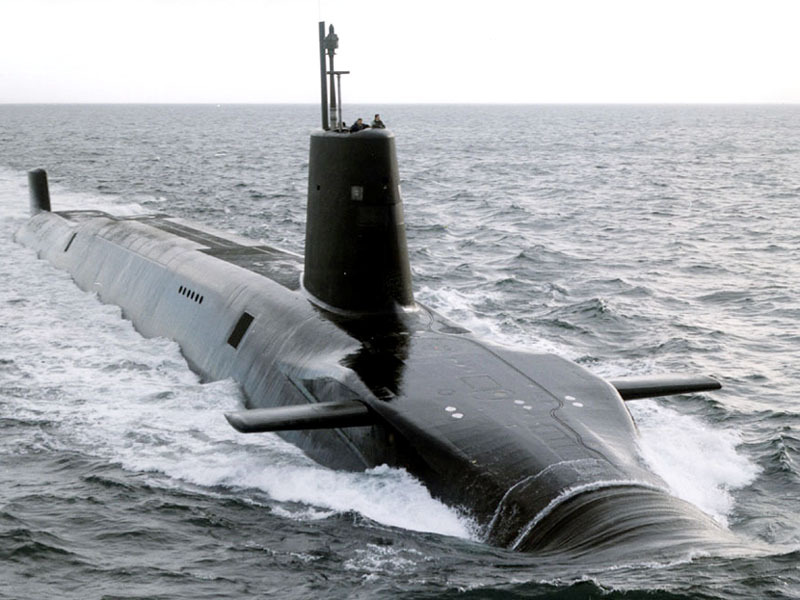 They are by far the largest submarines ever manufactured in the United Kingdom and the third largest unit in the Royal Navy. A special manufacturing facility, the Devonshire Dock Hall, had to be purpose-built at Barrow for their construction. The Vanguard Class submarines are larger than the Resolution Class mainly because of the need to accommodate the Trident D5 missile. 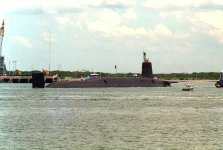 However, the complement of a Vanguard Class boat is smaller - 132 officers and men compared to a Polaris submarine's crew of 149. 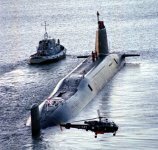 The Vanguard Class boats include a number of improvements over previous British submarines, including a new design of nuclear propulsion system and a new tactical weapon system for self-defence purposes both before and after missile launch. The 16-tube missile compartment is based on the design of the 24-tube system used by the United States Navy's Ohio Class Trident submarines. Although each Vanguard Class submarine is capable of carrying 192 warheads, the boats will deploy with no more than 96, and possibly with significantly fewer. 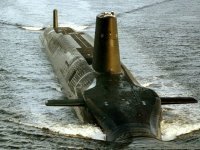 Since January 1995 Trident submarines have taken on a secondary "sub-strategic" role, with a number of Trident missiles carrying one nuclear warhead. The submarine in reserve may be armed with 11 missiles with 8 warheads, 4 missiles with 1 warhead on each, plus an Active Inert Missile during trials. Some fourteen years after the start of the Trident project, the first submarine, HMS Vanguard, entered service on time in December 1994. HMS Victorious repeated that achievement, entering service in December 1995. The third Trident submarine, Vigilant, was commissioned in Barrow on 2 November 1996. 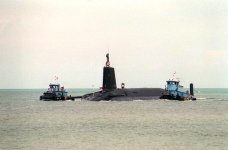 In late 1997 HMS Vigilant emerged from the nuclear weapons store at Coulport fully armed with Trident missiles and nuclear warheads.Vigilant test fired two missiles in October 1997, then loaded missiles from 19 November to 3rd December, in which time nuclear warheads were attached to the missiles at Coulport. There was a final inspection on 05 December 1997, then the submarine became operational. 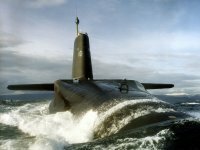 The fourth and last UK Trident submarine, the Vengeance, was launched at the Barrow-in-Furness shipyard in Cumbria on 22nd August 1998. 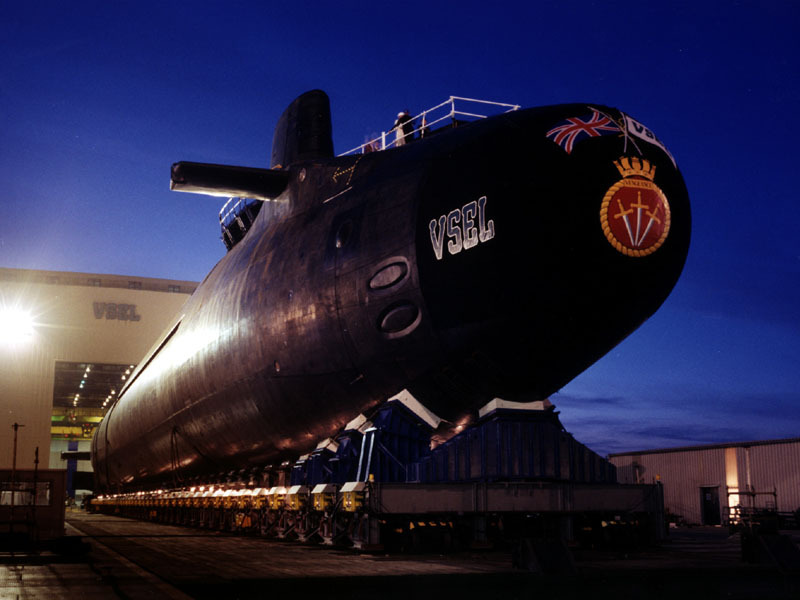 The Vengeance was commissioned into the Royal Navy at the GEC Marine (formerly VSEL) shipyard in Barrow-in-Furness, Cumbria on 27 November 1999. The Government initially estimated operating costs to be in the order of £200 million per annum over a 30 year in-service life. This estimate encompassed manpower and related costs, refits of the submarines, stores and transport costs, a share of the running costs of shore facilities, an element of the costs of the Atomic Weapons Establishment, in-service support of the submarines and their weapon systems and decommissioning and disposal costs. 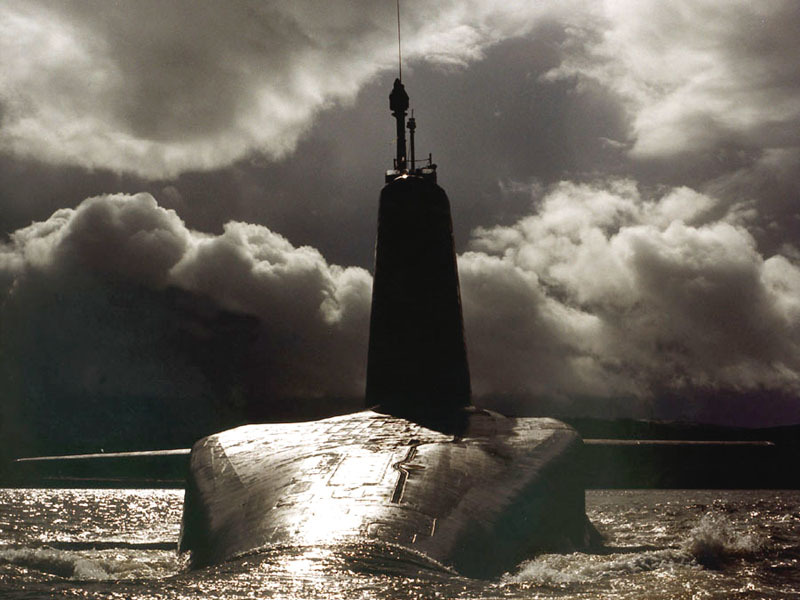 The latest estimate of the total acquisition cost of the Trident program was £12.57 billion at 1996-97 economic conditions, over £3.6 billion less in real terms than the original 1982 estimate. 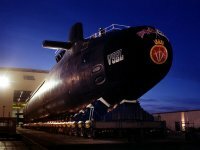 It was not possible as of 2007 to give precise out of service dates for the four Vanguard Class submarines. 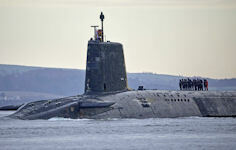 As indicated in the December 2006 White Paper on the future of the United Kingdom's nuclear deterrent, the Government believed that the original design life can extended by around five years and that accordingly the first Vanguard class submarine would go out of service around 2022 and the second around 2024 and work was ongoing to determine the optimum out of service dates for the remaining two. Alongside the operational reactors on board our ballistic missile submarines, a prototype reactor of the same class has been running at the naval reactor test establishment at Dounreay in Scotland since 2002. Its purpose is to help assess how the reactor cores within our submarines will perform over time. 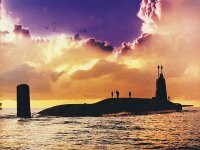 It had therefore been run for significantly longer periods and at a significantly higher intensity than the cores of the same type in Navy submarines, to allow the Navy to identify early any age or use-related issues that may arise later in the lives of the operational reactor cores. In January 2012, low levels of radioactivity were detected in the cooling water surrounding the prototype core. Low levels of radioactivity are a normal product of the nuclear reaction that takes place within the fuel, but they would not normally enter the cooling water. The water is contained within the sealed reactor circuit, and I can reassure the House that there has been no detectable radiation leak from that sealed circuit. The independent Defence Nuclear Safety Regulator and the Scottish Environment Protection Agency were kept informed. When the coolant radioactivity was first detected, the reactor was shut down as a precaution. Following investigations and a series of trials, and with the agreement of the relevant regulator, the reactor was restarted in November 2012. As a result, the Navy had to consider the possibility, however remote, that the useful operating life of this particular design of core may not be as long as previously expected. 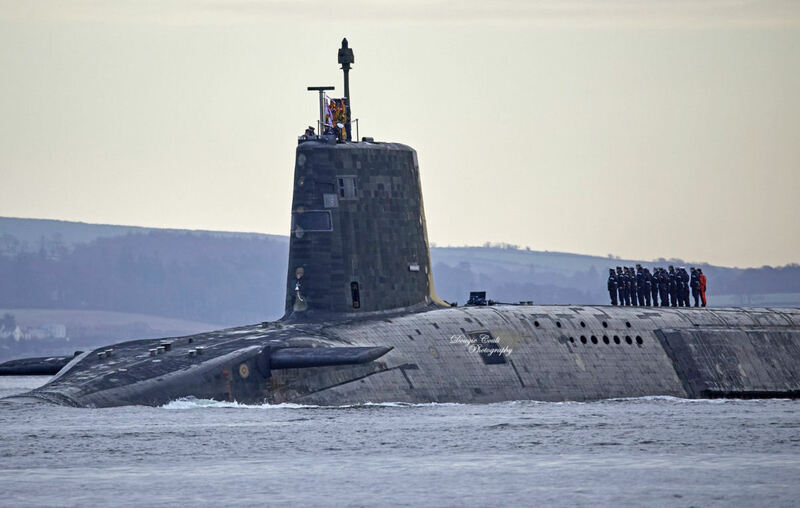 In March 2015 the Government decided to refuel the nuclear reactor in HMS Vanguard, the oldest of the UK’s four ballistic missile submarines, during its planned deep maintenance period, which begins in 2015. It would be the second time that Vanguard’s reactor has been refuelled since it entered service in 1993. A decision on whether to refuel the next oldest submarine, HMS Victorious, when she enters her next planned deep maintenance period does not need to be made until 2018. It will be informed by further analysis of the data from the reactor at Dounreay and examination of the core after the reactor is decommissioned. 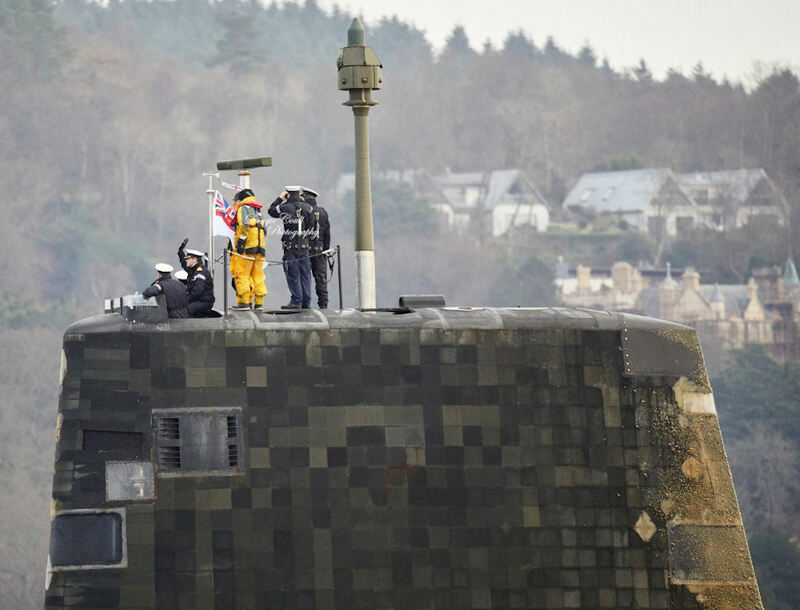 Images of one of Britain's nuclear deterrent submarines - HMS Vengeance - returning from her latest three-month patrol to a naval base in Scotland after having suffered considerable damage appeared online in January 2019. 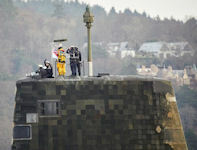 The nuclear-armed submarine shed thirty per cent of her accoustic panels during the mission, not a common sight for the Royal Navy. The accoustic panels that cover British subs are designed to absorb sounds, both from the inside and outside of the vessel, masking noise from the boat and absorbing those made by other vessels looking for the sub. 2 WH Allen turbo generators. Type 2054, 2043 & 2082 sonar. Dowty Sema SMCS Combat Data System. Dowty tactical control system SAFS 3 FCS. 16 x Lockheed Trident 2 (D5) (UGM-133A).